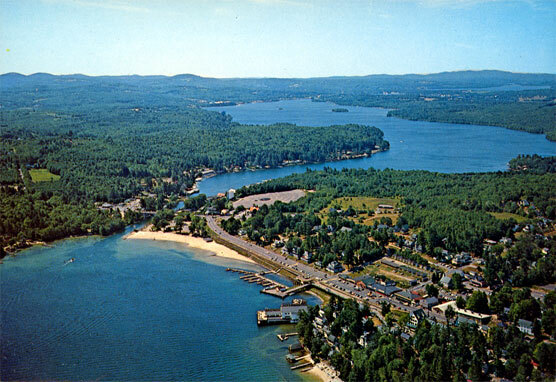 In the circa 1960 aerial of Weirs Beach seen above (click here to enlarge), 940′ high Brickyard Mountain can be seen rising over 504′ high Lake Winnipesaukee. 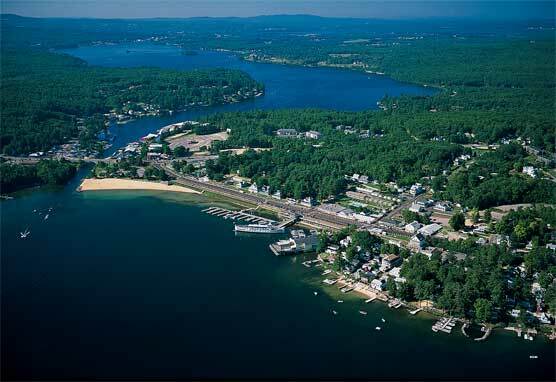 Brickmaking was one of Weirs Beach’s earliest industries, beginning in the early 1800′s and continuing until around 1915. Brickyard Mountain was once known as Doe Mountain, after Augustus Doe, longtime owner of the brickyard. Previous to that, it was known as Blacksnout Mountain. The Native American name for the mountain is unknown. However, it is known that the same very hard, dark green clay used for making bricks was used by the Native Americans for 10,000 years to make pottery. During the 1970′s, a ski area was built on Brickyard Mountain, obliterating many of the mountain’s original glacial features. 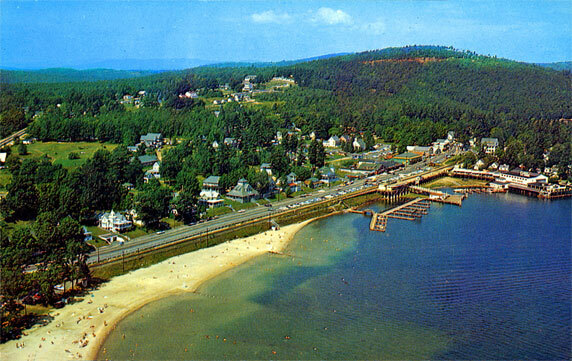 The ski area was very short-lived and closed in the early 1980′s. For the next 20 years, trees and brush grew in rapidly, obscuring all traces of the ski area. Here are two websites with information about the former ski area: NELSAP (New England Lost Ski Areas Project) and New England Ski History. As recently as 2002 the mountain top was undeveloped and could have possibly been made into a park. It is now being rapidly developed as a private housing community. “A little farther along toward Meredith just off the main road rises Blacksnout Mountain, from the summit of which is to be had the very best view obtainable about the Weirs of the Winnipesaukee lake and mountain region…The ascent from the road is very gradual and easy, but abrupt and practically impossible on the side toward the Lake. It is hoped that sometime this splendid vantage point will be utilized as a public park. There has been talk of an incline railway, including a large observatory at the topmost point.” (From Rambles About the Weirs , by Edgar H. Wilcomb).